Prague - A weekend trip to the capital of Czech Republic. Amongst a group of male travelers who try to organize a city trip that primarily has two goals, fun and beer consume, you immediately think of two possible destinations. Destinations that are easily reachable by car and – in our case – share a border with Germany. 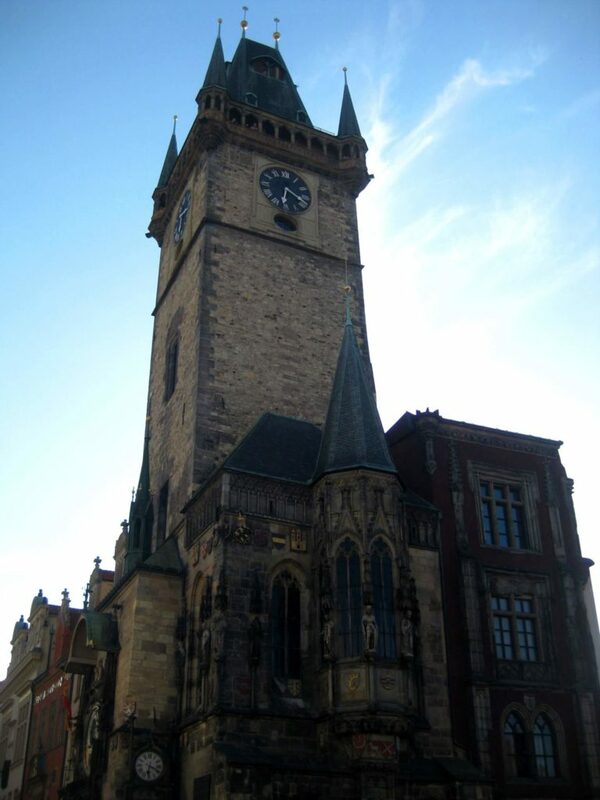 My cousins, my brother and I tried one of those destinations in 2015 and visited Czech Republic’s capital Prague. Later on, we repeated this kind of trip to other cities, like Budapest or Bratislava. Our accommodation in Prague fulfilled all our expectations and completely satisfied our non-existent requirements. 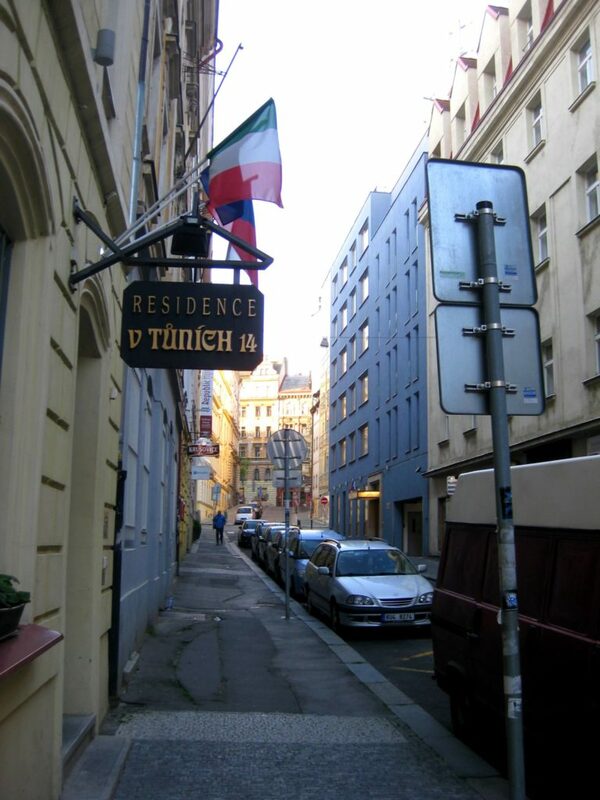 The Hotel Residence V Tůních was perfectly located, south of the Old Town, and offered for little money exactly what a bunch of guys needs. End of story. We had to ask for toilet paper on the front desk, okay, but in return the hotel offered a valet parking service (not included though) that you should use if you care about your car (even if it is just a 1st generation Toyota Avensis in our case). On the day of arrival we scouted out the town and walked towards the Old Town. 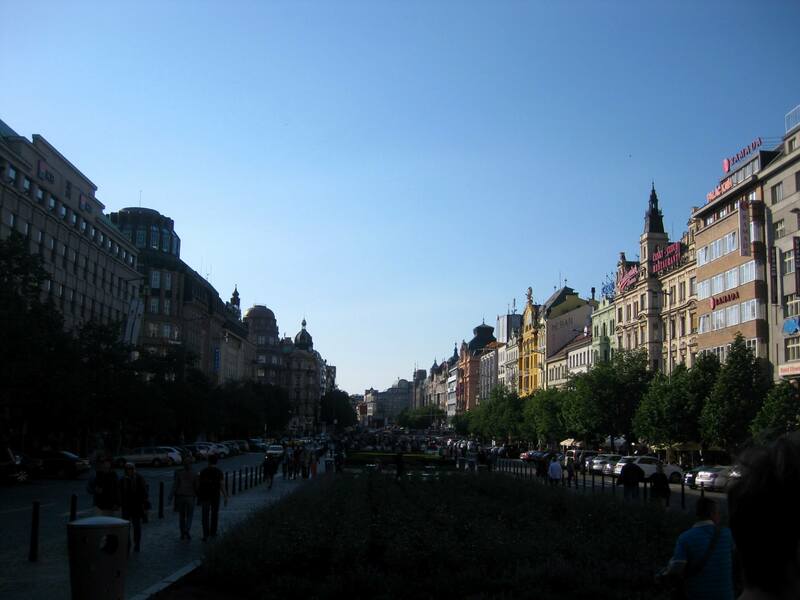 Our first stop was the Wenceslas Square (that is located in the New Town of Prague). Basically, it is a wide street that is lined with stores as well as restaurants and it is a meeting point for locals as well as tourists. Here, the visitor gets a good impression of what Prague has to offer. You should not change money in this area in one of the currency exchange offices since the exchange fees are extremely high. A better alternative is to ask or look in the various hotels for exchange possibilities. 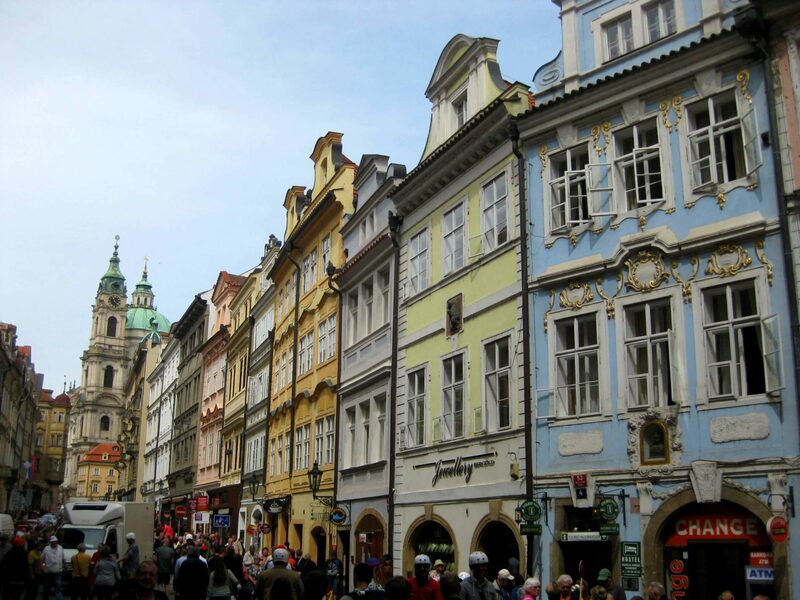 The fees are lower and you can combine it with your walk to the Prague Castle for example. 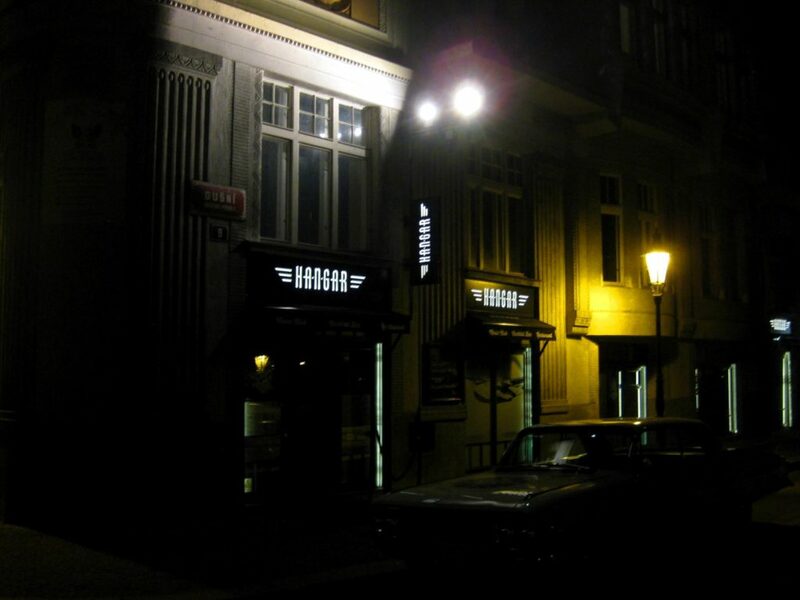 This first evening we wanted to have a relaxed night out in one of the bars but were a little bit disappointed by the highly praised bar scene in Prague. First, we did not find too many bars and second, the ones we found were not that well frequented. Maybe that was due to the working day or due to the international ice hockey match that happened that night, we don’t know. But the following nights should reimburse us a little bit. Well rested we started the next day and went off to explore more sights. 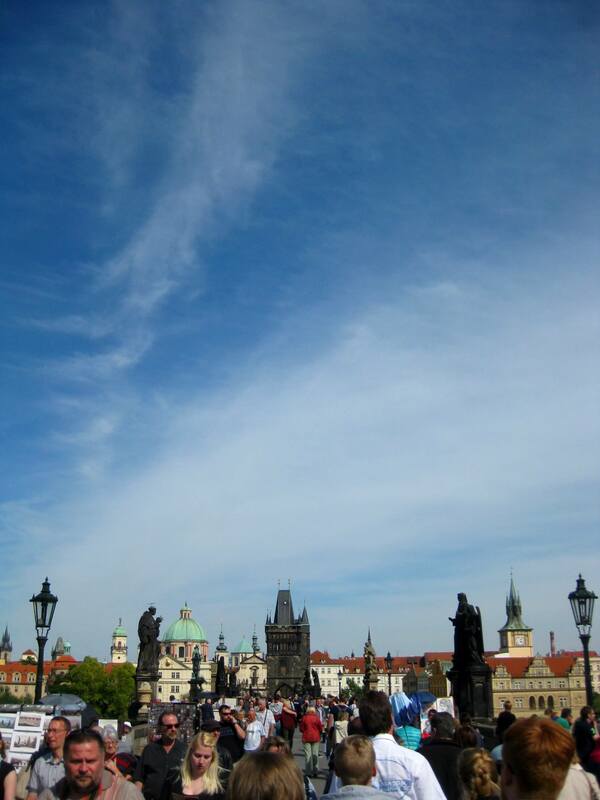 Our first stop was the Charles Bridge that is probably THE landmark in Prague. This bridge crossing the Vltava (Moldau) belongs to the oldest stone bridges in Europe and is therefore an obligatory sight for everyone visiting Prague. As expected for a landmark like that, masses of tourists and an equal amount of sales people, artists and musicians romp about on this bridge that connects the Old Town and the Lesser Town of Prague (Malá Strana). Who has the possibility (or takes up the opportunity) should go to the bridge early in the morning and absorb the soulless tranquility. We walked through the masses towards the Hradčany (Hradschin mountain) and Castle district. Up on top you find the Prague Castle. According to Wikipedia, Prague Castle is the largest ancient castle in the world. Not bad at all. The castle area is very spacious. 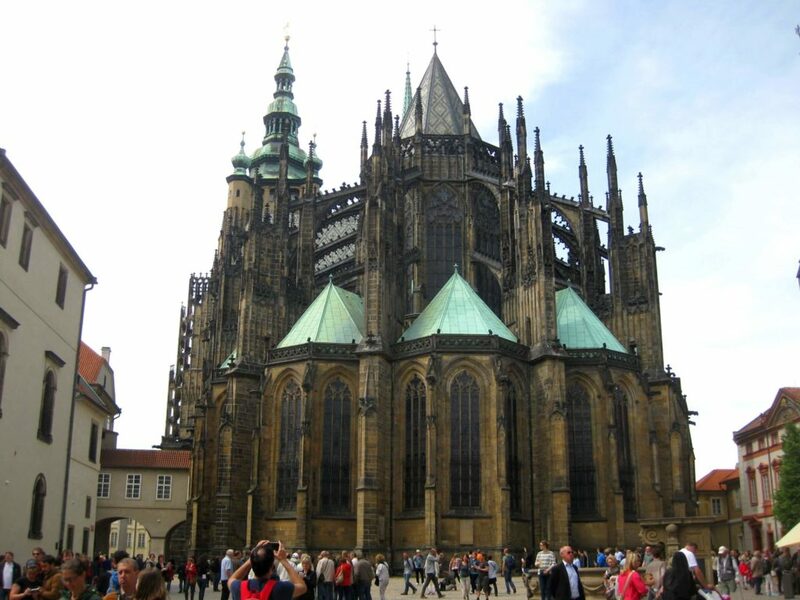 As a visitor, you can easily spend half a day up there walking through the narrow streets and look at all the stunning buildings, like the St. Vitus Cathedral, the largest church building in Czech Republic. We took up another march and went to Petřín, a hill in the center of Prague. 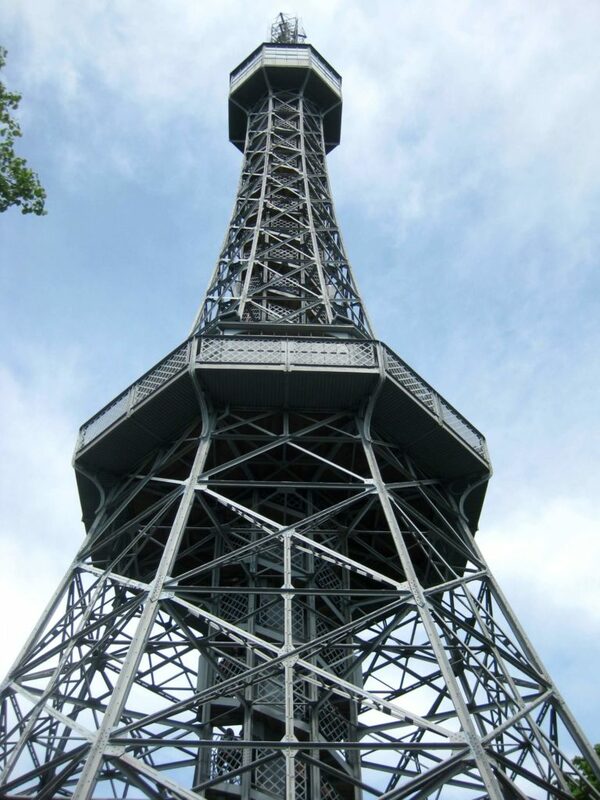 Up on the hill is the Petřín Lookout Tower that is 60 m high and strongly resembles the Eiffel Tower in France. Once you reach the highest level you get rewarded with a great view over Prague. An alternative to the hike for people that have trouble hiking (or are just too lazy) is a cable way or the elevator going up to the tower. After lunch on the river we were drawn into the Karel-Zeman-Museum located on the foot of Charles Bridge. We did not plan to go to this museum since we just discovered it on our tour but it was a nice surprise. The museum is quite small but there is a lot to discover. 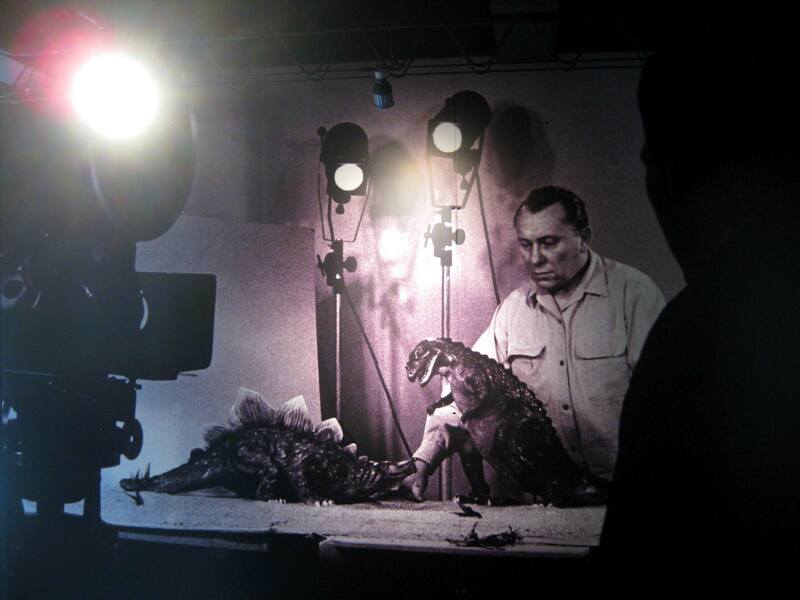 Karel Zeman was a Czech director and something like a pioneer when it comes to animated movies in Czech Republic. We had an entertaining and fun afternoon in that museum. The evening was meant to be rather entertaining as well. Our plan was to check out Pragues’ party scene since we did so many cultural things throughout the day. 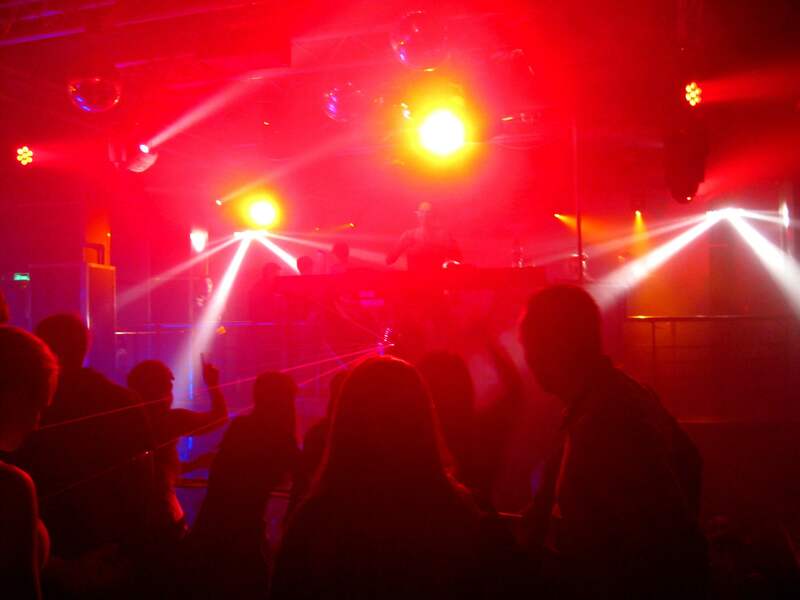 We hopped through bars, cocktail bars and finally stranded in the, as they say, biggest disco of Central Europe – Karlovy Lázně. Mainly rather young people party here on four levels. It kind of felt like crashing a sweet sixteen party. But I have to admit, the place looked pretty cool. Anyway, I also have to admit that I am too old for that crap; my cousins and my brother obviously not. However, we had fun that evening. We saved some guys neck who slipped and was about to break it. 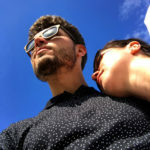 We lost each other. We danced. We found each other again. We carried a hopelessly dunk and fainted bride-to-be down the stairs from level 4 to the exit on the ground level (with one rest-stop on level 2 so she could throw up). As a reward, we got nothing. Not even a bridesmaid. However, may her married life be better than her bachelorette party. In the end, we made it out there safely and returned to the hotel as a group. That is also worth something. A little hung over we started into the next day around noon. Our personal highlight of the trip was coming up. Therefore, we only had to walk 300 m down the street and entered the Spa Beerland. The only Spa a guy should visit! We made an appointment beforehand and booked a room with two whirlpool royal oak tubs and a bed made out of wheat straw where we could relax after the bath. The arrangement came with homemade bread and beer. Light and dark. As much as you wanted. From a tap where you pull it yourself. A dream come true, that was restricted to one hour. Certainly for a good reason and also intelligible as a self-protection act regarding over-motivated visitors. After this wonderful experience we went down town to eat. 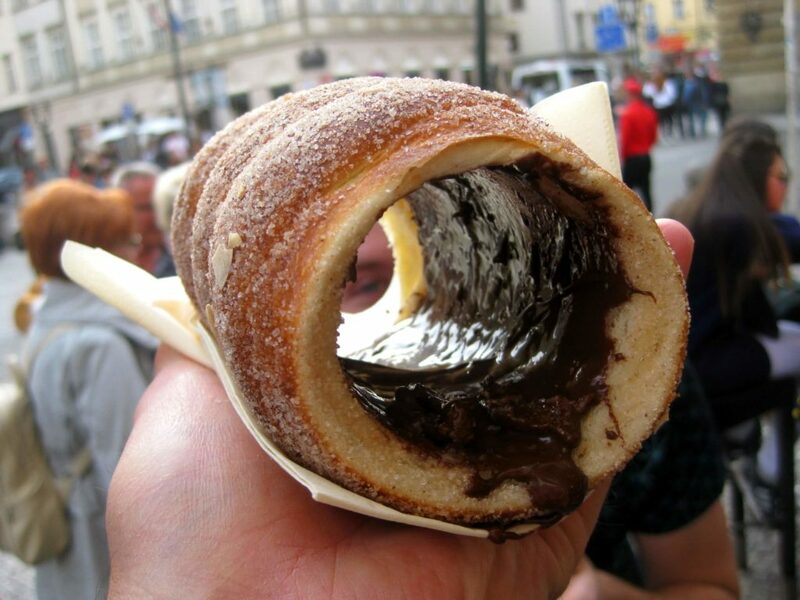 As a dessert, we had Trdelnik with Nutella. Sometimes life can just be simple and awesome. As we inhaled this heavenly, baked dessert we passed a mirror labyrinth with a kaleidoscopic cinema (Imaginarium Praha). Spontaneously we decided to go inside and in the end, I have to say it was a great idea. Since we were the only visitors we had the labyrinth to ourselves and took advantage of that. We had a lot of fun in there. I highly recommend going there! Having so much fun is made us thirsty and quenching thirst is fun. Especially in the upcoming locality – The PUB. On first sight, it looks like every other sports bar. But once you sit down on one of the countless tables, you realize that something is different. 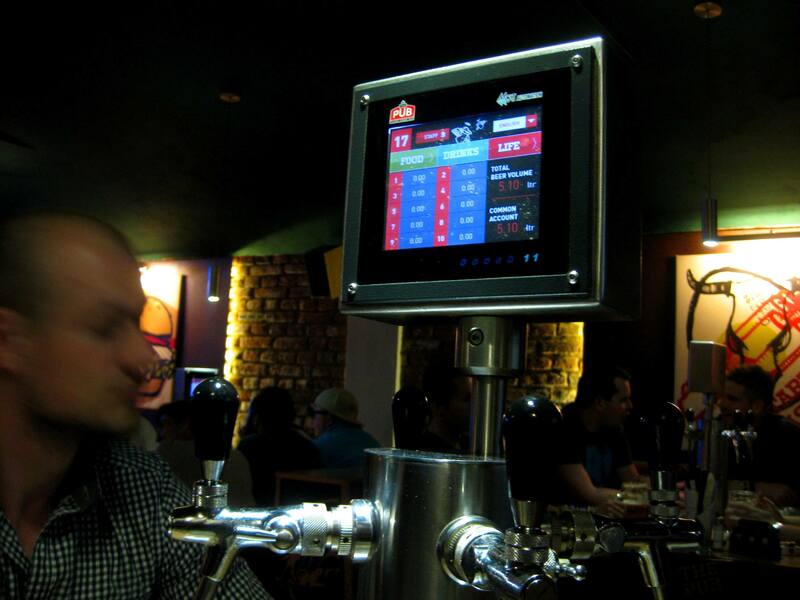 The guests order through a touchpad that is on the table and also pull their beer themselves, right there on the table. The cherry on the foam was the digital chart though. It showed which table had consumed how much beer. A great business idea. Another recommendable bar is the Hangar across from the church Holy Spirit. A stylish location in the style of the 50th, on two levels. The lower level is more like a club and the upper level is more like a lounge. Other than food they serve good cocktails and other drinks like wine and champaign. The barkeeper and the service staff are authentically dressed (men as pilots and women as stewardesses) and when they get the right tip they literally fire up that place. We wanted to end our trip to Prague with a culturally appealing event and looked for a cabaret to acknowledge minor arts. My group was open for music, lyrics or just satire. We were not opposed to socio-critical performances and just looked forward to an evening with some aesthetically pleasing entertainment. 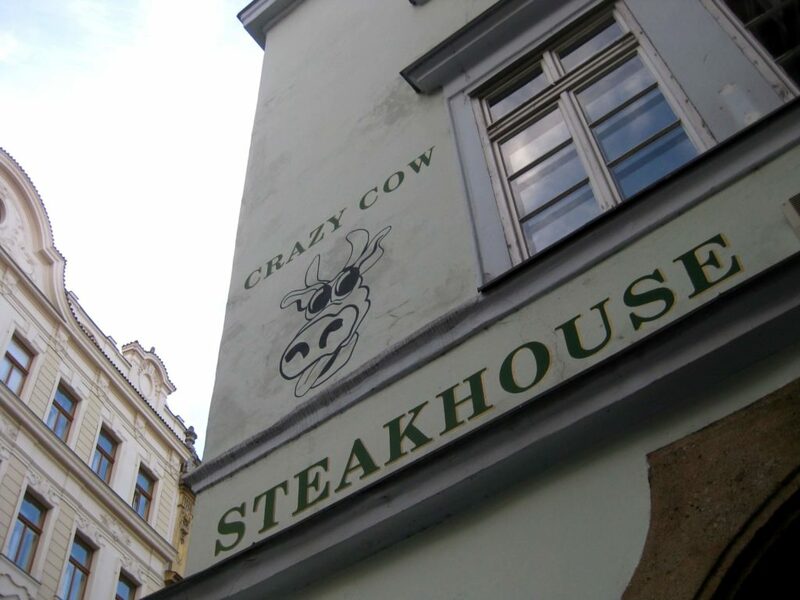 The Darling Cabaret Prague was our destination. The interior was decorated tastefully in red velvet and gold. Chandeliers were hanging from the ceiling, it had group tables and a gallery. It felt like being in a mixture of GoodFellas and an Italian opera. Then something odd happened. The young lady showed a utensil (and I still wonder where she might have hidden it the whole time since her light outfit didn’t have any pockets) that I first thought was a microphone. But it was not a microphone. Everything coming after that I only remember vaguely. The longish “thing” was there and gone again. A person from the audience was taken up on stage, had to lay down and take that thing into his mouth. The next scene reminded me of Woody Woodpecker. At some point the show ended, the audience applauded and we went to bed, a little unhinged knowing that this evening changed us in some way. The next morning, we headed home. Despite of the events from the previous evening, our visit was a perfect achievement and everything went pretty smooth. And thanks for your article. we always love to hear from our visitors that they have enjoyed the tour through our museum. Moreover when they hadnt plan on it but still came! I have read your article and I have to say I laughed quite a lot. You must have had so much fun! Although I wish you visited at least one pub or club or a place where the locals go =) Karlovy lazne is really not one of it =D. However, we very appreciate you mentioned us in your article! Hope youll enjoy your next visit as well. thank you for your email and link to your blog where you shared your experience in our Beer Spa.